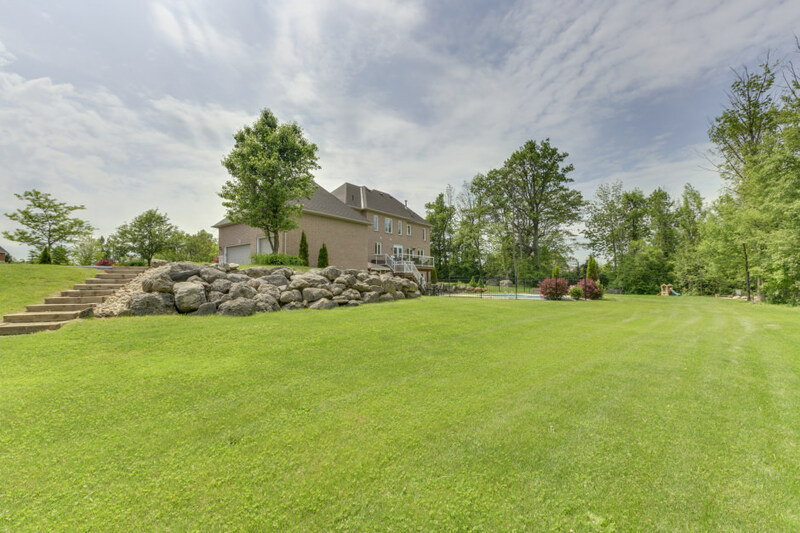 Elegant country home on a tranquil 1.68-acre lot backing onto conservation. This large family home is set on a sprawling lot within the desirable “Churchill Estates” community, conveniently located just a few minutes from HWY 401 and central Milton amenities. The extended driveway leads to your triple-car garage and a timeless brick and stone exterior dressed with professional landscaping. A solid entry with tempered glass sidelights opens to the foyer with heated slate tile flooring. The focal point of the space is the traditional oak staircase, flooded with natural light from a two-storey bay window. 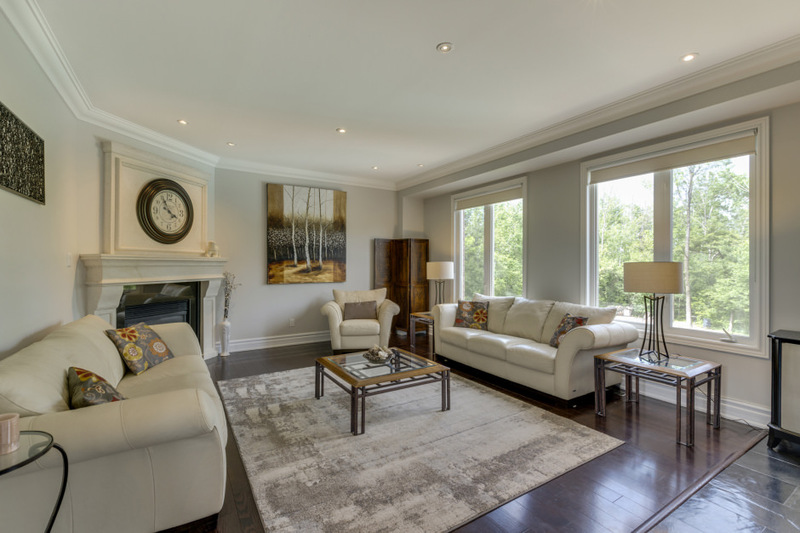 Luxury features throughout the home include oak hardwood flooring, deep baseboards, upgraded door casings and trim, and crown moulding. The formal dining room, with oversized designer chandelier inset a plaster medallion, boasts direct access to the eat in kitchen. 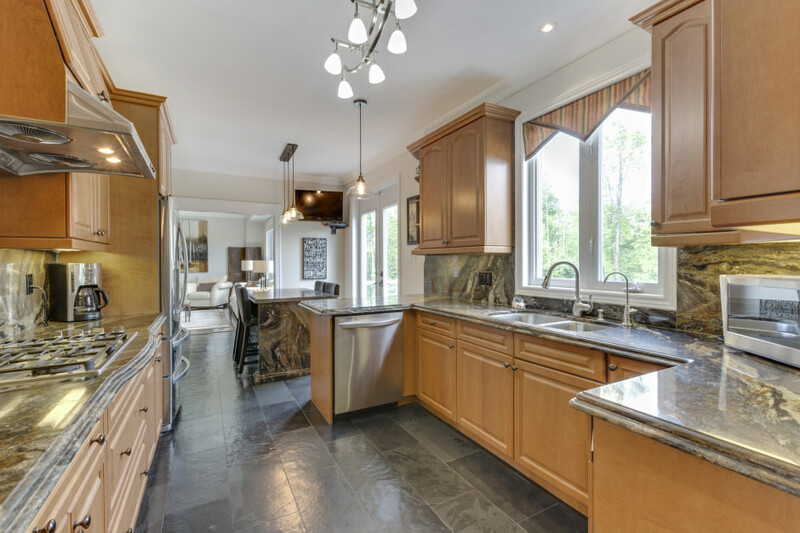 Custom maple cabinetry with under-cabinet lighting accentuates the granite countertops and seamless granite backsplash. High-end stainless steel appliances include a Miele gas range and an LG French door refrigerator with double freezer drawers. Double French doors walk out to a raised composite deck with glass railing and an unobstructed view of your private rear yard. The kitchen opens to the heart of the home, the great room with gas fireplace with cast stone surround and two double windows overlooking the forest. 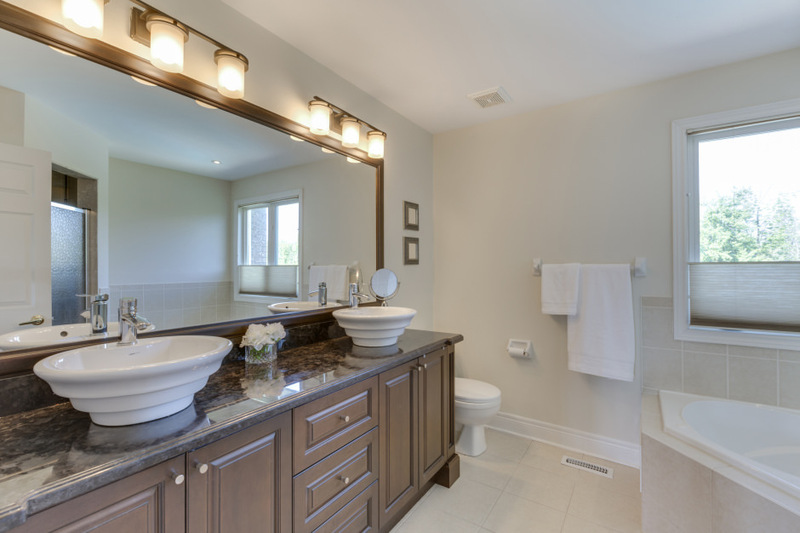 Upstairs double doors open to your master retreat with gas fireplace, dressing room, and five-piece ensuite with His & Hers vanity and Jacuzzi soaker tub. The main five-piece bathroom services the second, third, and fourth bedrooms. The fully finished lower level, with heated flooring throughout, provides ample additional living space including an exercise room/optional fifth bedroom and additional full bathroom. 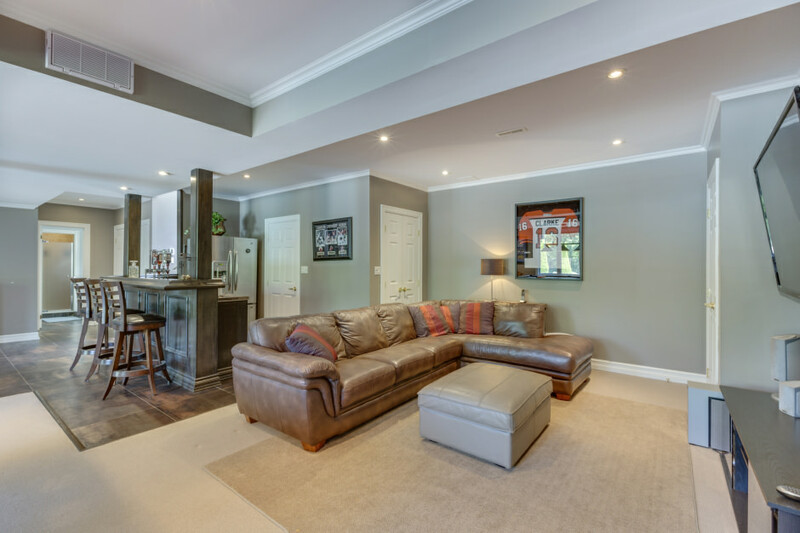 The spacious recreation room is an ideal space for entertaining, with wet bar, gas fireplace with full-height stone surround, and walkout to the rear yard and in-ground saltwater pool. 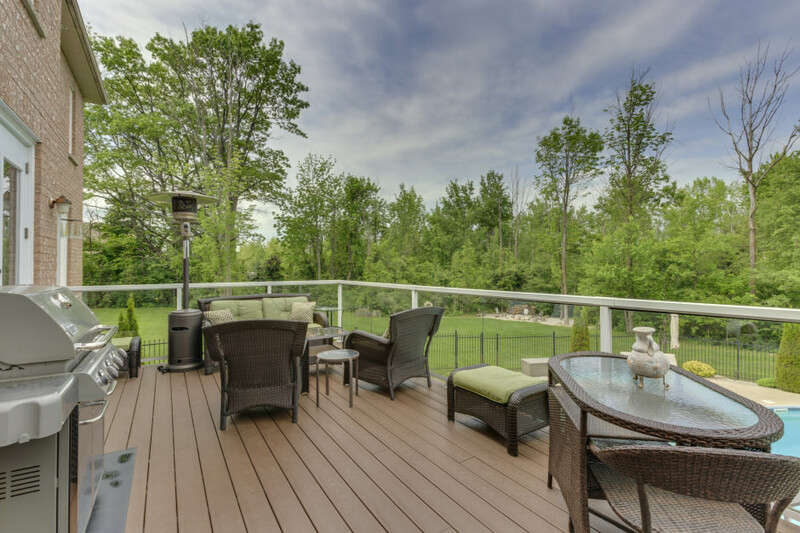 Your own piece of paradise within a 1-hour commute of bustling downtown Toronto!